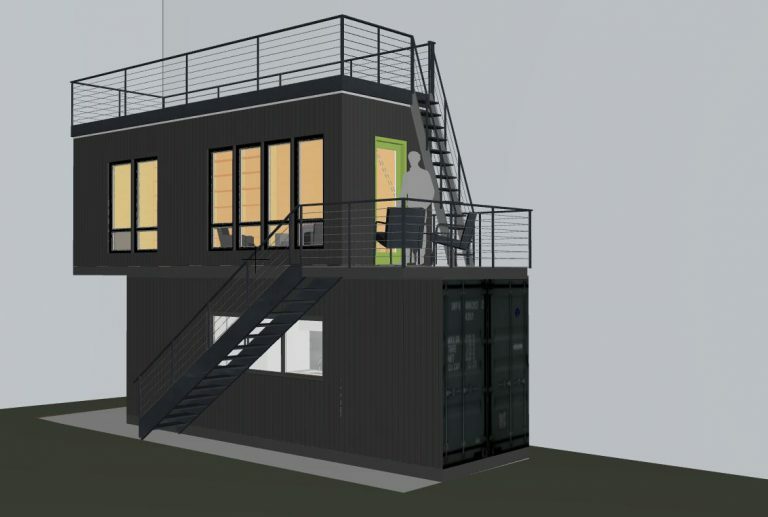 This shipping container structure was the perfect solution for our clients’ home office in one of the few remaining residential properties in the SODO area of Seattle. When it just didn’t work to rehabilitate an old back yard shed, we studied building a new small building. But the demands of unstable liquefiable soil called for a more integrated structure. 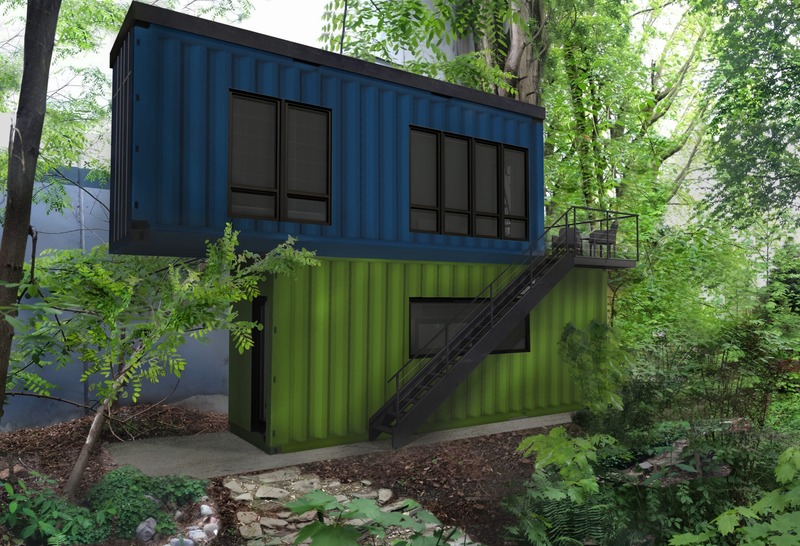 Aesthetically, the shipping containers fit perfectly with the industrial architecture of the neighborhood. Structurally, the containers are bolted to the reinforced thickened concrete slab such that they act as a whole and will more likely stay intact in an earthquake. 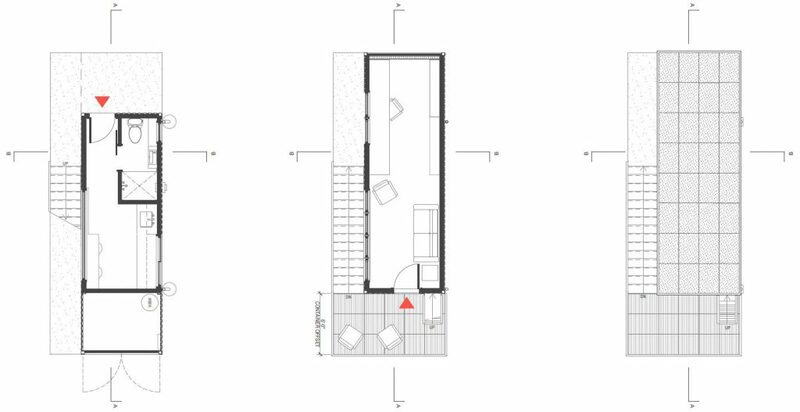 Functionally, the home office can double as a DADU, with a sleeping area, kitchen and eating areas, a bathroom, plus a sitting area and a deck! And it’s designed to accommodate a future green roof. But pragmatically, when the owner moves, he can take it with him!